Berlin is a wonderful place to visit if you are on a budget. As one of the cheapest capital cities in Europe, Berlin offers visitors the perfect opportunity to enjoy a short break without worrying about your spending money running out. 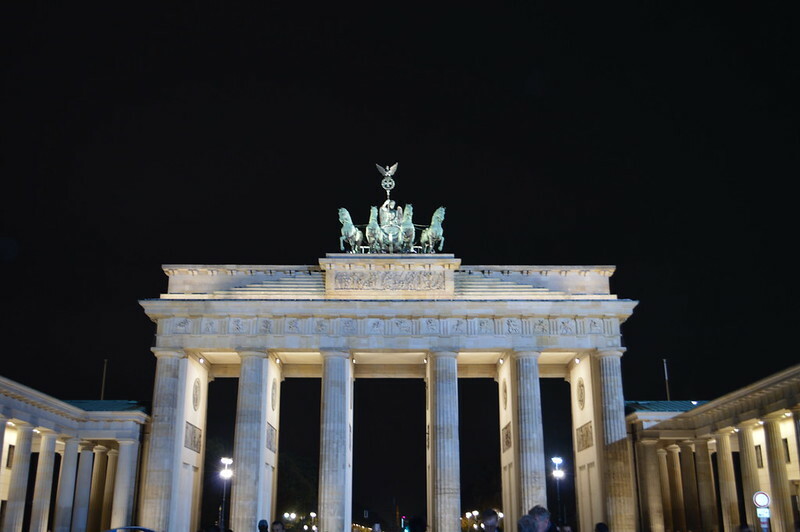 There are plenty of cheap flights from the UK to Berlin, my return cost just £60 from Cardiff with flybe and you can get even cheaper flights if you are flexible with your place of departure. I loved my time in the city and a 3 night break set me back just £230 including food and attractions whilst on the trip.. This could have been even cheaper if I had opted for a budget hotel or hostel. Berlin isn't very traditional or what you might expect from a German city. If you're looking for steins of beer, forests and fairytale castles you will need to head to Bavaria. Berlin is mostly new because it was virtually destroyed during WWII by the Allied forces. The city is still being rebuilt and you'll see loads of construction cranes all over the city. What the city might lack in terms of traditional beauty it makes up for with an interesting history, vibrant nightlife and plenty of museums and attractions all of which can be enjoyed without spending much money. 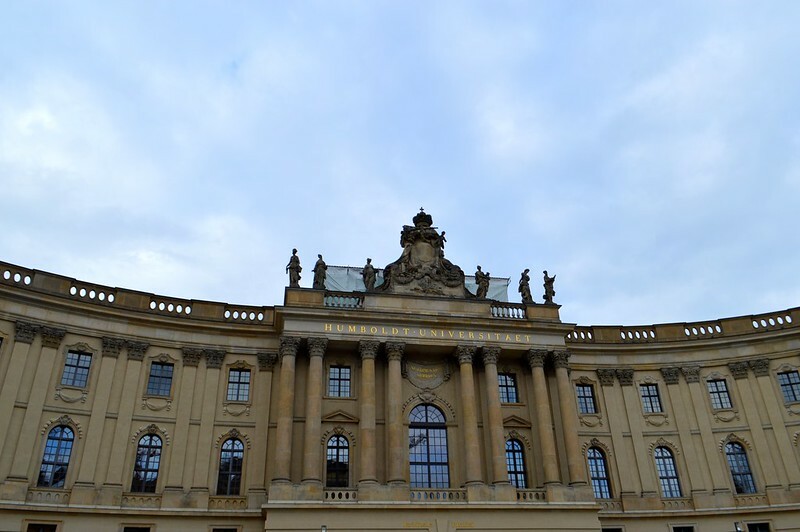 You can find the state opera, Humboldt University Buildings and the green domed St Hedwig's Cathedral all located on Bebelplatz. The university has been associated with 40 Nobel Prize winners and has notable alumni and lecturers such as Karl Marx and Albert Einstein. On the square you can find a sunken glass plate between the pavement that provides a view into a room full of empty bookshelves. The bookshelves could accommodate about 20,000 books and serves as a reminder of the books from the university which the Nazis burnt on May 10th, 1933. These works were by writers seen as a threat to the Nazi ideology. 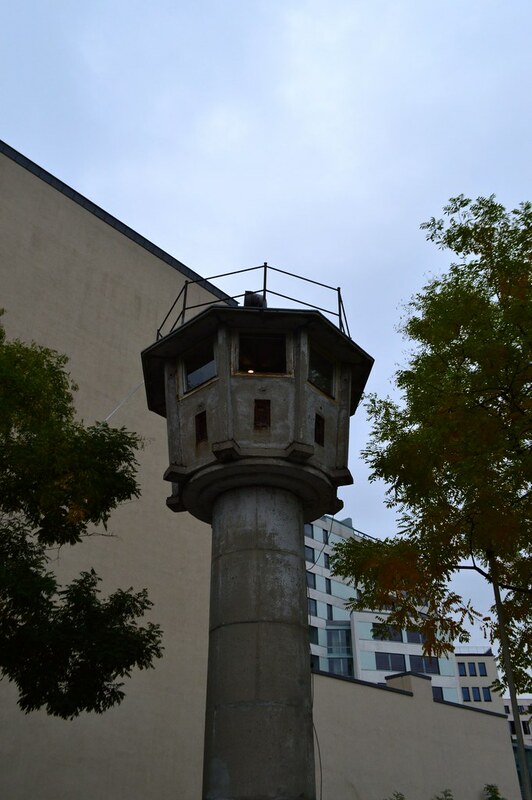 You can find this weird-looking TV tower which was built in the late 60s on the famous Alexanderplatz. It is the tallest building in the city but I wouldn't recommend spending 12/13 Euro to get views of the city from the top. You can climb the Victory Column for 3 Euro and get equally as wonderful views. You can stroll around the immediate area of the tower and find the very grand baroque Neptune fountain, St Mary's church which dates back to the 13th Century and the impressive red brick Rotes Rathaus where the Mayor of Berlin works. 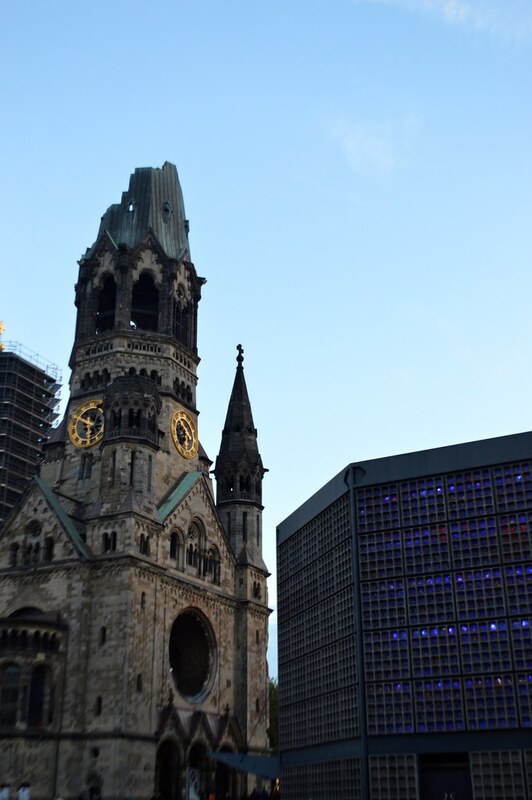 One of Berlin's iconic buildings, the half-ruined Kaiser Wilhelm Memorial Church is located on Breitscheidplatz in the centre of western Berlin. The church was partially destroyed during a bombing raid in 1943. Following the war, several different options for the church's redevelopment were considered, including the construction of a new church made from glass in the old church's ruins, and also its complete demolition and replacement with a new structure. Eventually it was decided to leave the ruined tower as a memorial to the futility of war, and create a new church around it. A little interesting fact is that the new church was consecrated on 25th May, 1962 - the same day as the new Coventry Cathedral - and features a cross made of nails from the old Coventry Cathedral. The church and an exhibition is free to visit and the new worship hall is very impressive inside with hundreds of blue glass window panes. The East Side Gallery is located in Friedrichshain-Kreuzberg and is a 1.3km long section of the remaining Berlin Wall which was painted in 1990. 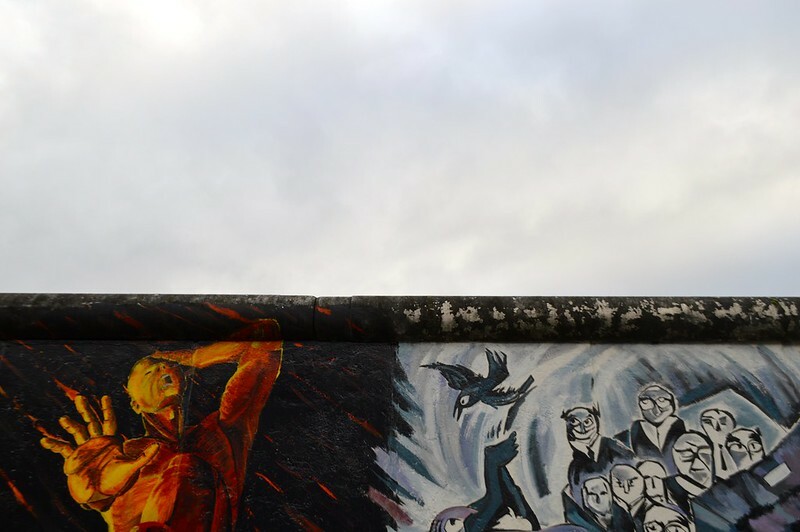 This open air art gallery features graffiti artwork which turned the defining structure of the Cold War era into a positive symbol of hope and a reminder of Berlin's dark past. 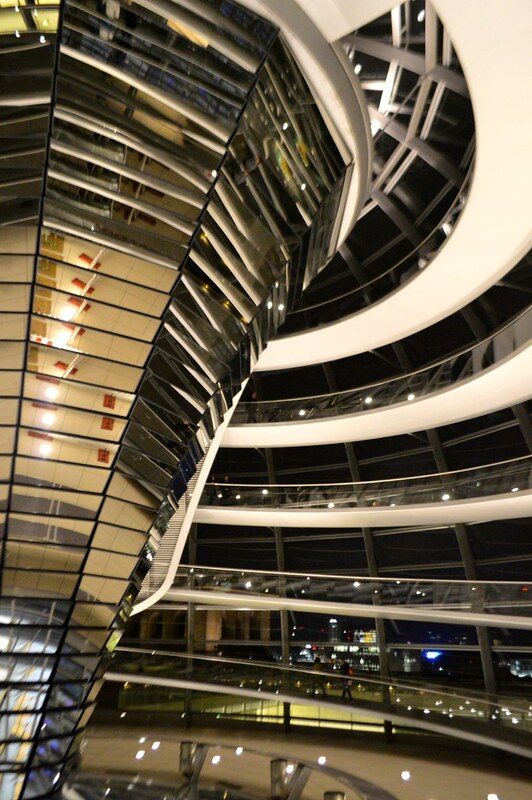 It’s free to enter the Reichstag and all you have to do is register online in advance to secure your ticket. It’s well worth checking out this unique building which was designed by Norman Foster. It has a unique design of the old building blended in with a glass roof that represent political transparency. You learn about all the cool features of the building if you pick up a free audio guide before heading to the top. Make sure you book this attraction well in advance because the only slot available for me and Martyn was at 9.45pm. For music fans, there are free lunchtime concerts at 1pm on Tuesdays in the foyer of the Berlin Philharmonic. They’re performed by members of the orchestra and music students and last around 45 minutes. Make sure you get there early though as they’re limited to 1500 spaces. Built in 1791, The Brandenburg Gate is the symbol of Berlin and the reunited Germany. During the period when Berlin was a divided city, the Brandenberg Gate was located in no man’s land behind the Berlin Wall. It now serves as the centerpiece of Pariser Platz where you can find various embassies and the infamous Michael Jackson baby blanket dangling hotel. There are loads of free things to see and do in Berlin but there are a couple of things that are worth paying for but won't break the bank. The number 100 bus drives through the centre of Berlin and on its way passes many of the most recommended attractions. For the price of a single AB ticket you'll get your own cheaper guided bus tour of Berlin for a fraction of the alternative. Berlin has some amazing street food and the easiest to find are kebabs and currywurst. You can get a super filling lunch for around 3 or 4 Euro. 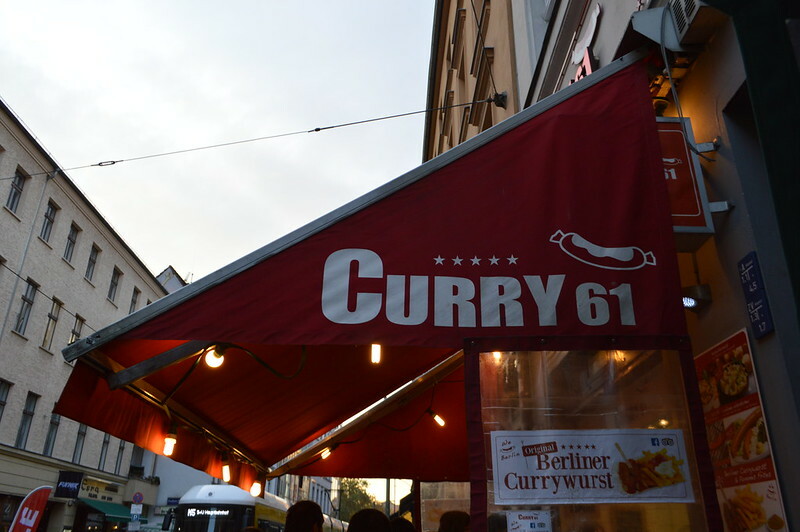 I recommend Curry 61 which is close to the Hackescher Markt S-Bahn station. It is close to the Ramones museum and you can pick up a Berliner doughnut on the way back to the station from one of the market stalls outside in the square. You can find some other things to do in this area (Mitte) here. If you're looking for something a bit different head to Street Food Thursday at the Markthalle Neun to sample some of the best street food Berlin has to offer. 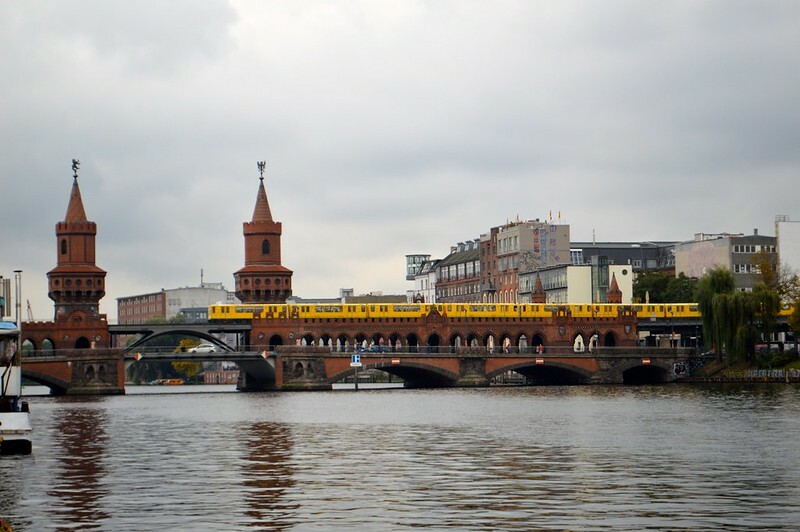 Obviously the cheapest way of getting around the city is by walking but Berlin is a sprawling city and can be very chilly in the winter so I recommend making use of the public transport. For travel within the city, the Berlin WelcomeCard gives unlimited free travel on Berlin’s S-Bahn, U-Bahn, buses, trams and ferries. This also gives you discounts to many tours and attractions so worth picking one of these up at the airport when you arrive so you can make use of the discounts and trains straight away. If you have any Berlin tips or just want to share your thoughts, leave your comment below. Those are great tips! I've not been to Berlin but I would love to, some day. Perhaps it's more affordable then I had thought though? Thank you! Definitely, much cheaper than Paris or Amsterdam. yes! even the DM Boots/Pharmacy type shops have lots of Vegan things in them. I would love to go back in the summer and enjoy the parks. I've always wanted to go to Berlin and didn't realise it was one of the cheapest cities in Europe, it looks so fascinating. I'm making a return visit to Berlin next year, it's such a fun city. 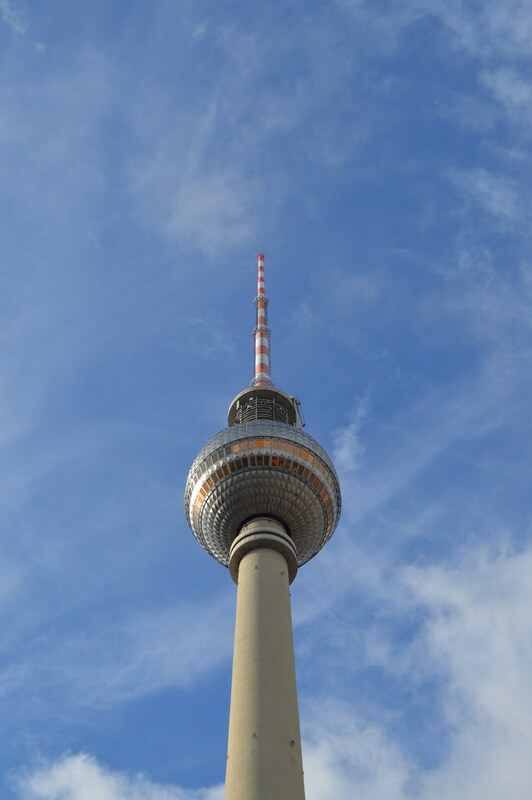 I did Victory Column instead of the TV Tower on my first visit - much quieter and much cheaper! I also loved all the photo booths scattered around the city. Wow! So much to see! How cool that you can catch a free concert too! 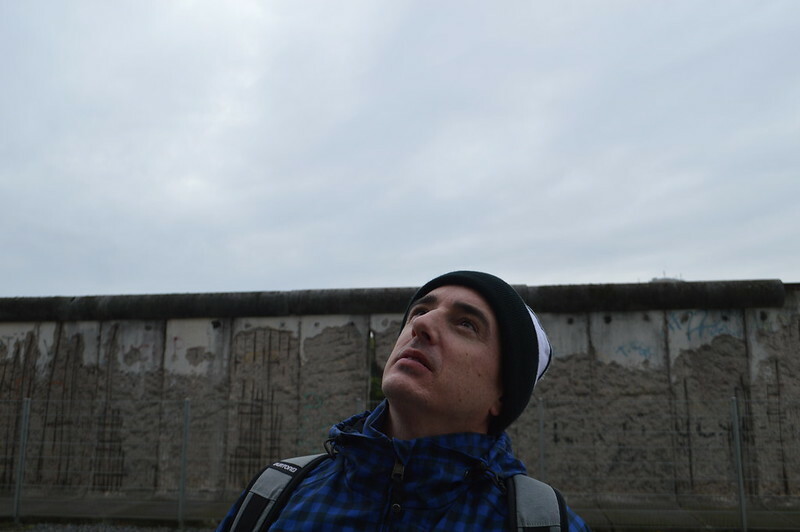 As a Street Art fan it has been my mission to visit the East Side Gallery in Berlin it looks epic!